In recent decades, the number of anti-corruption policies developed in the public sector increased considerably. However, existing attempts at classifying them do not fully address the complexity of corruption types, risk factors, and policy environments. Owing to a limited problem description, existing classifications do not always account for the full spectrum of potential policy tools, thus impeding the design, monitoring, and evaluation of anti-corruption interventions. By reviewing the main features of more than 30 international initiatives targeting administrative corruption, this paper aims at identifying the core elements for a comprehensive and actionable typology of anti-corruption policies. 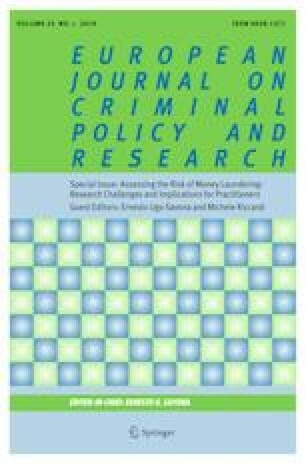 A content analysis of the existing international efforts highlights the importance of considering three main groups of variables for classifying anti-corruption initiatives: the type of gain involved in the corrupt conduct, the mechanism of intervention exploited by the policy, and the type of policy tool. The typology provides an interdisciplinary perspective on existing anti-corruption efforts, confronting well-known criminological distinctions with a detailed classification of policy instruments. The study also identifies the main features and limits of existing anti-corruption classifications and efforts, such as the predominance of the economic paradigm and the focus on the characteristics of developing countries for problematizing corruption. Council of Europe (2013). Designing and implementing anti-corruption policies handbook. Eastern Partnership-Council of Europe Facility Project on “Good Governance and Fight against Corruption”. https://rm.coe.int/16806d8ad7. Dish, A., Vigeland, E., Sundet, G. & Gibson, S. (2009). Anti-corruption approaches: a literature review. Joint Evaluation 2009:1. https://norad.no/en/toolspublications/publications/2009/anti-corruption-approaches-a-literature-review/ Accessed 13 June 2017. Esadze, L. (2013). Glossary of the conflict of interest and corruption terms. http://www.info-evropa.rs/wp-content/uploads/2013/11/Londa-Esadze-Glossary-of-the-Conflict-of-Interest-and-Corruption-Terms.pdf Accessed 11 July 2017. Independent Commission Against Corruption (European Union) – ICAC (2009). Public Sector Anti-Corruption Framework Manual. European Union Decentralised Cooperation Programme. https://www.icac.mu/wp-content/uploads/2015/10/Public-Sector-Anti-Corruption-Framework.pdf. Jancsics, D. (2019). Corruption as Resource Transfer: An Interdisciplinary Synthesis. Public Administration Review. https://doi.org/10.1111/puar.13024. Mills May, A. (2012). Causes of corruption in public sector institutions and its impact on development: turning what we know into what we do. Expert Group Meeting UNPAN, 14th June 2012. http://unpan1.un.org/intradoc/groups/public/documents/un-dpadm/unpan049589.pdf. World Bank (2006). Governance and Anti-Corruption: Ways to Enhance the World Bank’s Impact http://siteresources.worldbank.org/INTOED/Resources/governance_anticorruption.pdf.